Emily and I grabbed our trusty cleaning rags and set to work after school. She was so into it that she was racing me to each light switch! I hope this eagerness to clean lasts a long time! 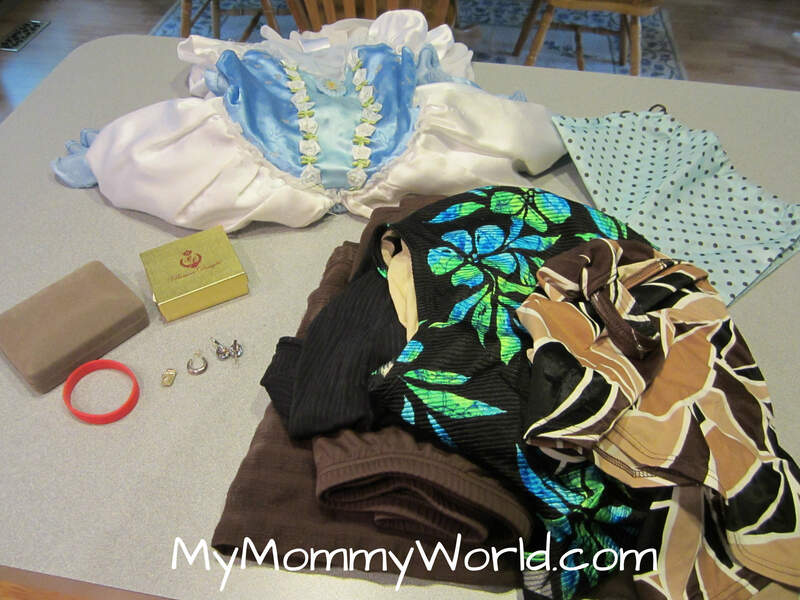 I completely forgot to pick out 7 items to give/throw away yesterday, so today I did double duty…we went through my dresser and found a very old swimsuit from the year I got married. I think I was hoping to fit into it again one day, which is why I held onto it for so long. Luckily I can fit into it now, but it’s so out of fashion that I most likely would not actually wear it to the pool. I also found a little jar in the laundry room which I used to use to hold coins and other items that I found in the washing machine. There was $3.54 worth of coins in it! 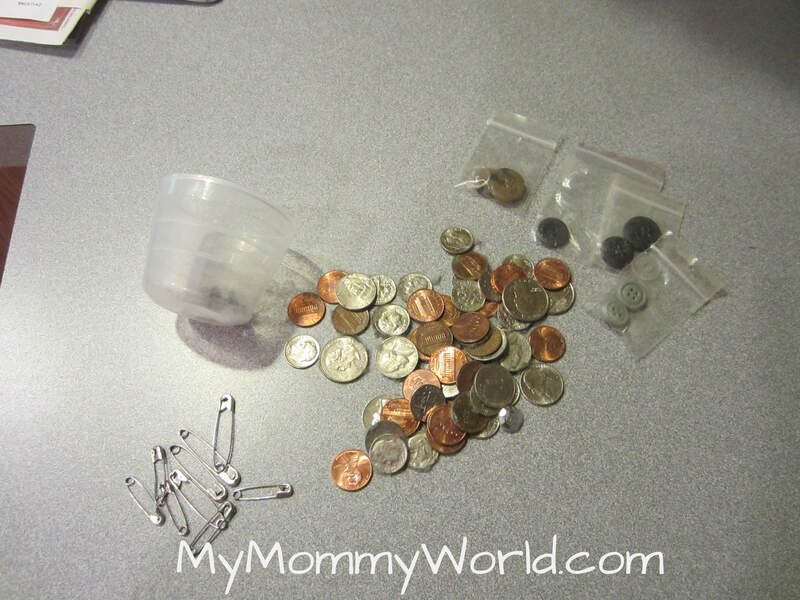 We divided it up 3 ways….1/3 to each child’s piggy bank and 1/3 to Mommy and Daddy’s piggy bank. 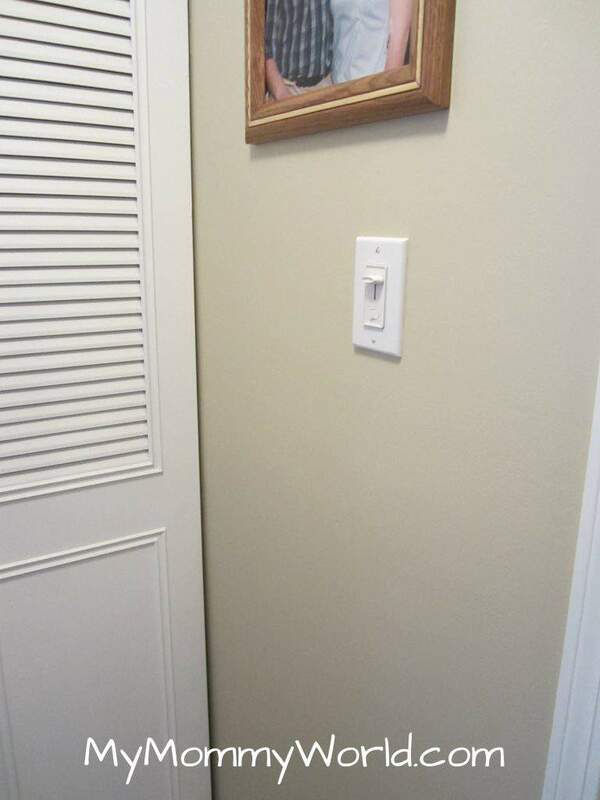 Another great project completed! Can’t wait for tomorrow’s!! I love how your daughter was helping out! 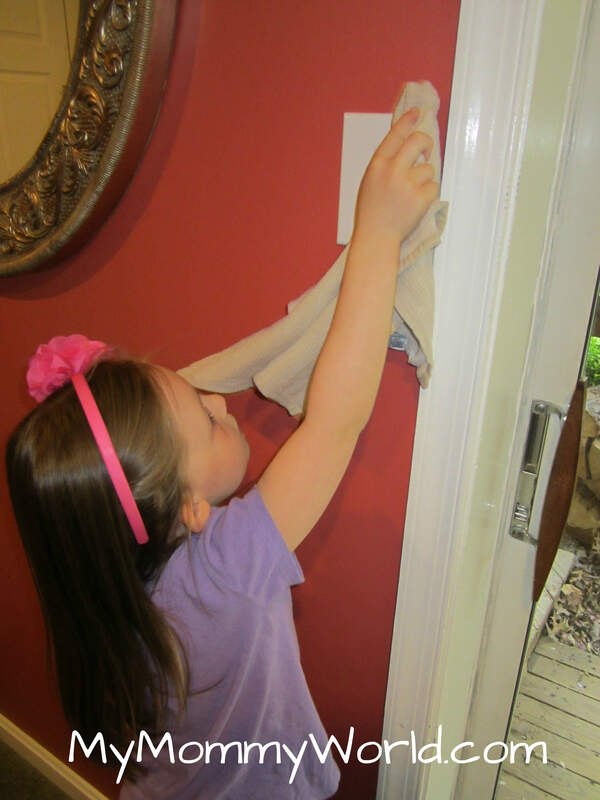 Wiping the light switches and the doorknobs is one of their chores- helps kill germs too! Looks like you have a great helper. Both of my kids are really good at helping out around the house. I usually clean my bathrooms on Friday as that is usually our lightest day for homeschooling. Today is usually laundry day so I washed the bath mats and really cleaned the bathrooms good. Wonder what tomorrows assignment will be?